Several weeks ago, a Link to Aging and Disability Resources partner (Thank you Link partner, you know who you are!) 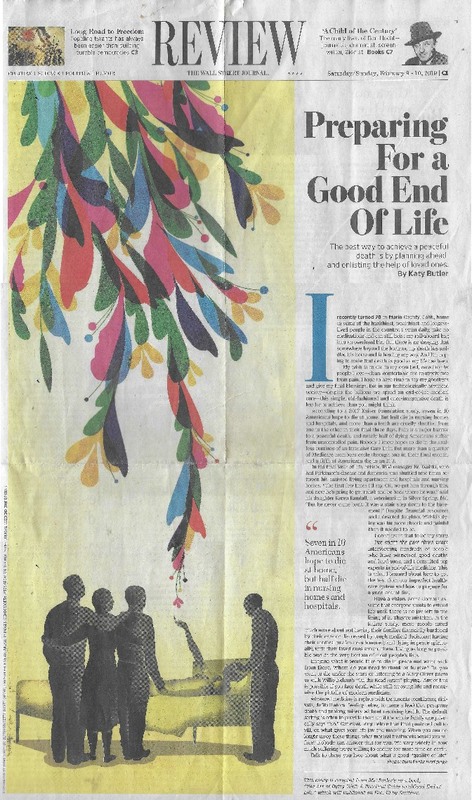 gave us this page from the February 9/10 Weekend edition of the Wall Street Journal. Here’s a link to the Wall Street Journal article, but you’ll have to sign in or subscribe to read it in full. We’ve reproduced it below; admittedly it’s a scan and hard to read. Here’s another link to an article about the article at the John A. Hartman Foundation. Click here to open a .pdf file of a home-made scan of part of the article that may (largely) be readable because you can enlarge it.